​ "Alive, So Make it Count!" Natalia Kuna is a Psychic Medium, Angel Communicator, Energy Healer, Spiritual Consultant, Writer & Teacher. Find out about her services here. Have you wondered about what it might mean when you find a feather? Feathers are ways that Spirit sends us signs. Ancient people from different cultures such as Aborigines, Egyptians, Celtics and the Native Americans believe that birds and feathers carry stories, mystical meaning and even magic. The reason why people of so many native cultures also wore feathers on their heads in various forms, is because they saw them as a sacred connection to God the Creator, and the Divine. When you look at a feather, you will notice that there is a shaft running up the center of it vertically (the white part that looks like a stalk) . Well this shaft is hollow - so the idea is that the person's prayers go upwards through the hollow shaft to the Creator - and then his blessings come back down to you through the same orifice, which acts as a channel. ​Feathers, with their connection to wings as a spiritual metaphor, represent a strong celestial connection to the Heavenly realms, as well as love, truth, protection, new beginnings and rebirth. When a feather actually ands at your feet, it is traditionally seen as a positive omen that your calls have been heard and answered. But generally speaking, when you find a feather in a magical way, Spirit is communicating with you and showing you their support and guidance. On top of the general spiritual meanings of feathers, specific colours and colour combinations can also add extra meaning to aid in your interpretation, as you'll see in my Colour List further below. 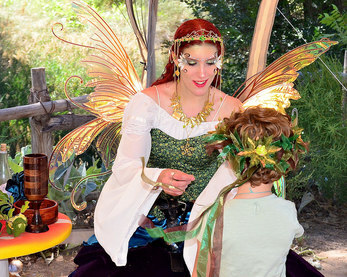 ​Receiving a feather sign is a magical moment. It is a mark or trace from the higher realms, a physical sign to express to you that your higher consciousness is connected and co-creating with the universal mind of Spirit. It is a cosmic way of saying hello, momentarily transporting you above time and space. 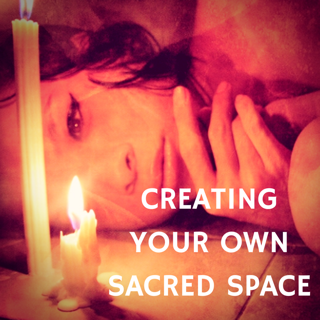 ​Through your energy and awareness, you drew the feather to magnetize towards you and your individual reality. It entered your 'field' as a response to your call to the universe, so you manifested it energetically. They are validation to any questions you have been asking and offer clues and comfort along your path. The sign will be in alignment with your thoughts, guiding you to receive the answers or connection that you have been seeking. Finding a feather is often a magical moment. It is amazing how the feather can come into your life, it's presence and location seeming out of this world. Spirit finds a way to synchronistically align the feather with your whereabouts and then nudge you to take notice. My children are often sign-bearers, delivering me feathers from their playtime travels. I have had many beautiful feather experiences and have watched one fall down from the sky languidly onto my daughter's lap while we had a picnic in our backyard! We both marveled in the magic of the moment. It was also a sign from the angels validating that my spontaneous idea to drop everything and have a random picnic lunch with my children was heavenly sent, and I had followed my intuition. On another day, I was outside in my backyard. I closed my eyes and asked the fairies (silently, in my mind) to show themselves to me or give me a sign of their presence. STRAIGHT AWAY, without delay, my four year old son came to me and said he had something to give me. He looked right into my eyes in his little wise way and gave me a feather! “THE FAIRIES!! !” I asked him how he knew, and he confidently retorted: “I just do!” (being the smart little claircognizant angelic soul that he is). "Feathers appear when angels are near?" Feathers and feathery creatures such as birds, butterflies, dragonflies, or other kinds of winged animals are all God's form of communicating with you through their appearance as a sign. Feathers have a connection to birds and wings and wings are a symbol of flight as well as freedom. From a metaphysical perspective, this can represent the spiritual journey or quest, and interdimensional travel. 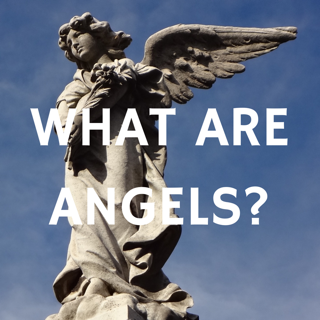 Angels are often depicted with wings as a way of symbolizing their celestial movement and prompt ability to carry out Divine will. You can ask for feather (or other) signs to come to you, and you can be specific. ​ I once asked for confirmation that I had a male guide watching over me (which is what I was feeling and just wanted the validation). I asked that if it were true I be shown in the form of a blue feather. I picked blue because it was more rare and unusual, and I saw it as an obviously male colour. ​Exactly one week later I went to work and as I approached some steps outside there were bright blue feathers everywhere! They were fake ones but it didn't matter. It was another of those magical cosmic moments. 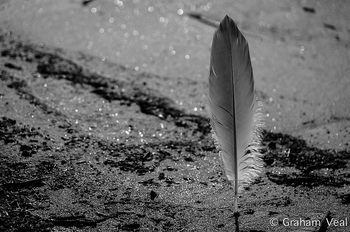 ​How do you know for sure your Feather is a sign? Any feather that comes your way may be a sign. It is especially a sign if it comes in a magical way or you find it in an odd place. ​Feather signs often appear on your path in front of you, or at your doorstep. It might just stick out, glow, or catch your attention somehow. Once a feather appeared in my bag, and on my bedroom floor. If you believe that your feather is a true sign, then trust in that. Spirit communicates in very elusive ways, and often through our sub conscious mind. Even if you do not understand the meaning of the sign at the time, it could become clearer later, or you may be absorbing it in at a sub-conscious level. Just trust that it is a sign and let go of any doubts. ​Don't stress yourself about having to know what it means. Allow yourself to absorb the moment and sit with it for a while. Feel the joy and ecstatic state of connection. Try expanding your awareness when it happens and take your time with it. No need to hurry. Don't force meaning to come through by analysing with your rational brain, allow it to come through intuitively (which is more like a gentle knowing). ​What you were thinking just before it happened? ​What is going on in your life lately or at that particular moment in time. How did it make you feel when you found it? What were your first thoughts, feelings or impressions? What could the sign be telling you? It is just a matter of believing, letting go, and staying aware. Signs often remind us to be at peace and relax into the nature and flow of life. The meanings can at times be profound, and at other times quite simple. The best advice when signs happen is to not put any pressure on yourself to understand it. ​Take it as an opportunity to connect, take notice of and thank the ever-present Spirit. ​Once you notice a sign, you will be open to receiving more. Signs often come as a way to get your attention and reconnect you with the magic of life and the Divine. ​What Should I Do with My Feathers? If you receive a feather sign or come across a feather that feels special, interesting or sacred to you, you can keep it in a special place. This might be on your mantle or dresser, by your bedside, or displayed on your sacred space / spiritual altar. You might like to place it with other natural items such as stones shells and crystals, or sacred items such as angel statues. 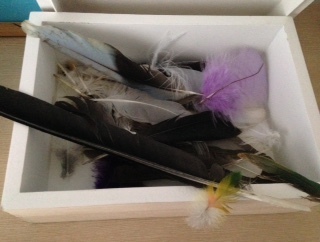 I actually purchased a special wooden box where I keep most of my feathers, and I sometimes place certain feathers in the space where I do my psychic readings. Once I took special notice of a rather large black feather standing on a window sill in a fish and chip shop. It seemed to guard the place and I intuitively felt that it was very protective. I mentioned this to the shop keepers who happened to be Maori (native New Zealand people whose forebears were highly spiritual). ​As I spoke with them, I felt that they were strongly guided by their ancestors, and this black feather was there to offer high spiritual protection. By me communicating this meant that they could now feel this powerful presence and unmistakable knowing that they were guided, protected and reconnected back to their celestial, cultural and ancestral origins. Now if I find a large black, or purple hued feather of my own, I place it on my window sill or bedside as a protective talisman. You might wish to gently release your feather treasure back to nature or where you found it. If you do so, you could say a gratitude prayer, or give it back to earth with positive healing intent. 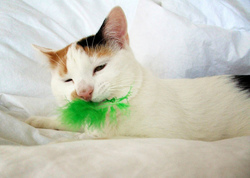 ​Note: Keep your feathers well away from your pet cat, as they love to chew, destroy, tear apart and mess around with feathers, even fake ones. The Native American people have a great spiritual understanding about feathers, their colours and meaning. ​They would take the utmost care of any feathers that came their way as they saw it as a sacred gift, or a powerful talisman in battle. Feathers are incorporated in their headpieces and ceremonial attire as a symbol of their communication with the Divine. Do I have any particular personal association with this colour? What does the colour make me think, remember of or feel? What are the universal meanings of that colour to my knowledge? Does the feather I found act as an answer to a question I've been asking or some kind of acknowledgement in my life? Always go with your gut and the first impressions you get, and trust. I recommend noting it down and keeping a journal of signs and synchronicities. You might see more in connection to this sign, so stay alert and enjoy the mystery of the process. ​When you find a feather, see if you can recognize what bird it is from. You will probably gain extra meaning by looking at the bird symbolism of the specific bird it originated from. Animals can act as totems, omens, guides, protective guardians or spirit messengers. Each animal has a spiritual meaning with higher mystical insight that you can apply to your life journey. You will probably most easily recognize feathers from seagulls, crows, parakeets and peacocks. Seagulls for example can represent freedom, releasing fear and seeing things from a higher perspective; and owls represent higher wisdom. But there are many more intrinsic meanings. 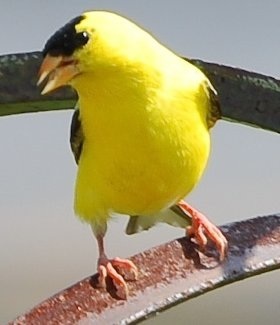 If you are a bird enthusiast or interested in further inspection, you can try looking at bird images online (type in the colours of the feather) and see if you can match the feather to the type of bird. 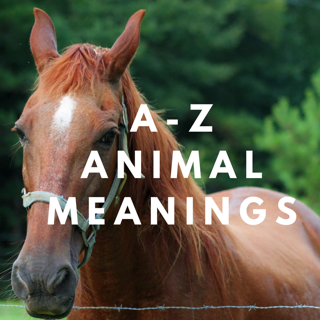 ​Read more information about animal spiritual meanings (including various types of birds) here. blessings and wisdom connected with moon. Black mixed with purple represents a very deep spirituality. i would take it as a feeply mystical sign. Brown and black striped pattern (like a pheasant/s feather) - balance between the physical and the spiritual. Brown and white - happiness, and you will go under the radar from psychic or other harm. The author of this article is Natalia Kuna - she has full copyright ownership. No copying of any content unless by permission from the author. ©Copyright Natalia Kuna. ​Natalia Kuna is a psychic medium, spiritual consultant, angel communicator, energy healer, teacher & course developer who provides international services via Skype. ​Find out more about her services here. 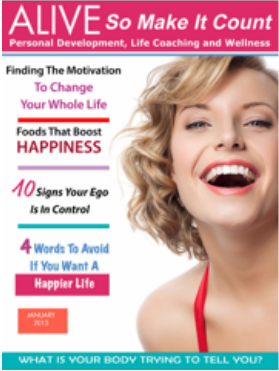 ​Free spiritual articles on many interesting topics here.